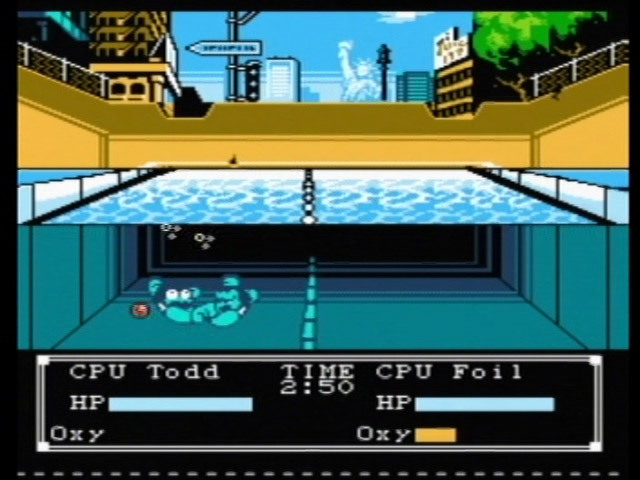 Developer Technos was best known for their beat-’em-up titles on the 8-bit Nintendo Entertainment System console, including the Double Dragon series and the classic River City Ransom. What would happen when the company tried to take on the multi-sport genre, like the arcade port Tack & Field, straightforward World Games, or distinctively wacky Caveman Games? 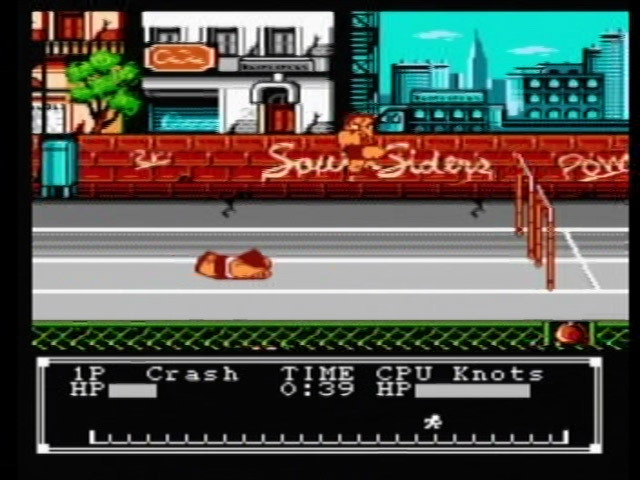 The result was something called Crash ‘n’ The Boys: Street Challenge. 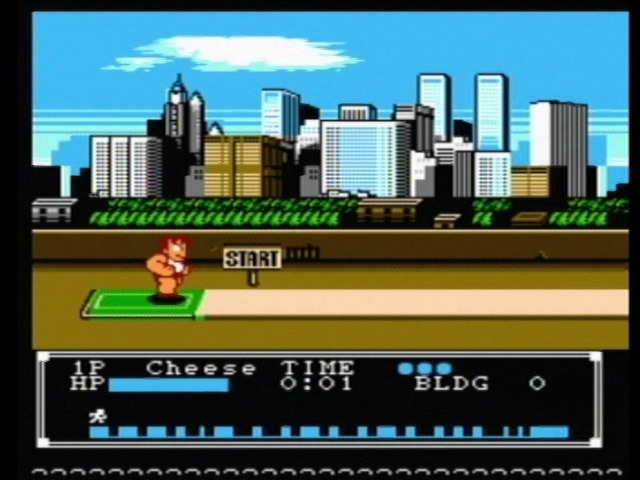 This was a sports video game on the NES that actually had a story; basically, our hero Crash Cooney and the Southside Boys are rivals with the rich snobby kids that live up on the Hill. After the Southsiders beat the Hillers in the big track meet, whiny brat Todd Thornley III was a sore loser and challenged the Boys to a street-sports gauntlet of various events with minimal rules, while his family secretly plotted to plant superpowered adults on his team in Thornley’s favor. To summarize, the Street Challenge consists of five events: 400 Meter Hurdles, Hammer Throw, Swimming (humorously referred to in the instruction booklet as Water Slaughter), Roof Top Jumping, and Fighting Scene. Each has their own distinctive appearance, mechanics, goal, and controls. Gameplay is divided into three modes: Practice, in which the player can pick one event at a time and try it over and over; Short, in which the player progresses through three events; and Normal, in which all five events are attempted through the storyline. This game is also playable for 1-4 people, with alternating controller usage. 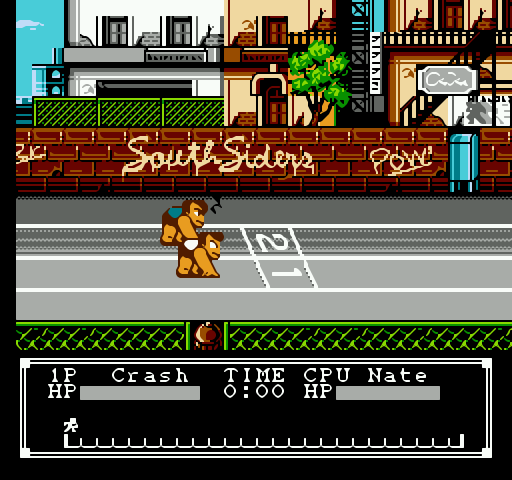 Once the play mode is determined, the player actually has a choice of four teams to pick from, two of which are the Southsiders from Southside High and Thornley’s school, Washington High. The two others are Lincoln High and Jefferson High, the relational nuances between each of which are awesomely explained in the instruction manual, but the remarkable thing is that each school then has five different characters to choose from, each with their own individual statistical ratings in Power, Speed, and Defense, the usefulness of each of which will depend on the event. Incredibly, and especially so for an 8-bit cartridge, not only is there the tournament of events, but between rounds the player(s) can actually shop for items using both money they begin with and the coins they additionally collect throughout the events. Items can boost stats, heal hit points, or even gain all-new techniques for the next event. This feature definitely adds a level of depth that is not quite seen in other multi-sport titles for the system. Of course, the main attraction is the five events, each of which deviates from the norm and either is not a traditional sport or simply goes for all-out combat in favor of athletic competition. 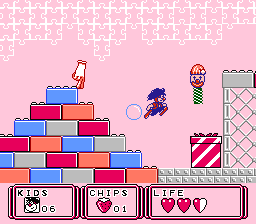 In 400 meter hurdles, the player must tap right on the directional pad to keep up with the opponent, but while jumping or sliding under hurdles, the characters can spin-kick each other or even throw chunks of broken hurdle at the opponent. Hammer Throw is actually Hammer Golf, as the player must throw a heavy weight across a two-dimensional course until getting to the hole in a certain number of strokes, and including trying to avoid hazards. In Swimming, there is not even the pretense of competition, just the goal of trying to kill the other character, and tacking both hit points and oxygen intake. Roof Top Jumping is a fun one, as a mix of tightrope-balancing unicycles and pole vaults is used to traverse rooftops, trying to get to the end of the course. 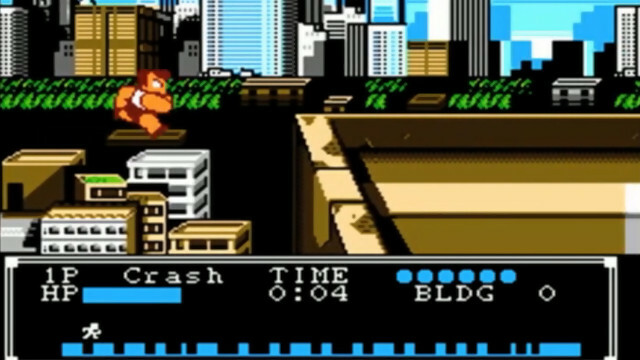 Then there is the Fighting Scene, worth considering on its own for one key reason: This may be the best representation of the fighting-game genre there is on the Nintendo Entertainment System, with the possible exception of Teenage Mutant Ninja Turtles: Tournament Fighters. Not only is character selection with distinctive characteristics intact, which Mortal Kombat could hardly even boast in its original iterations, but there are even special grapple moves per character in addition to the usual arsenal of punches, kicks, rushes, and jumping attacks. Some of the special moves, earned when reducing the opposing character’s stamina bar more quickly in a grapple, are especially funny and/or brutal. All in all, the richness of Crash ‘n’ The Boys: Street Challenge is certainly appreciated, and serves to place it on a level above the usual standard multi-sport fare. 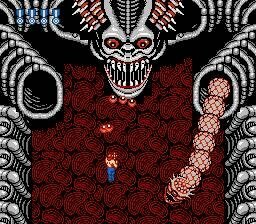 Even the introductory cutscene is enough to truly make this cart something special. However, not all is perfect, as the control schemes can be very unintuitive, inconsistent, and even confusing, as there is no real format that connects each event, a different button may jump from one sport to the next, and there is a learning curve involved as well. The curve is welcome, actually, especially to make one-player playthroughs worthwhile, but it can be difficult to gain initial practice when the computer is in constant “must kill the new guy” mode. 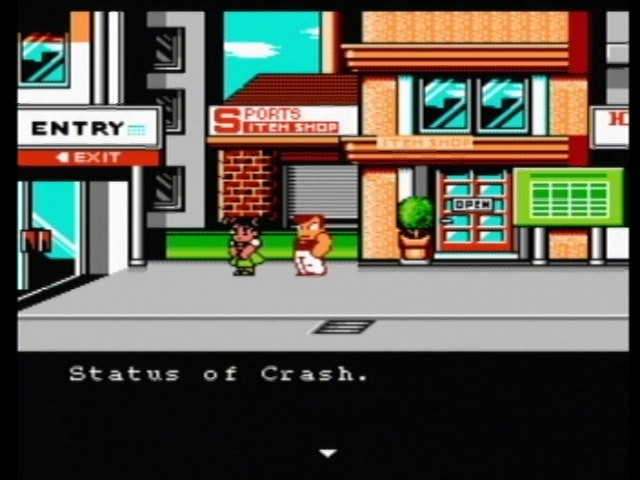 Judging Crash ‘n’ The Boys: Street Challenge on its audiovisual merits is an intriguing endeavor, since those aspects are of unquestionably high quality, given the context of the hardware and comparison to the rest of the NES library of carts, but they are also noticeably recycled. This is a later release than their previous titles like River City Ransom and Super Dodge Ball, so you know that many of the graphics are recycled. Yet, this may not be the worst thing, since the Technos style of characterization is largely what gives their games their appeal to begin with. 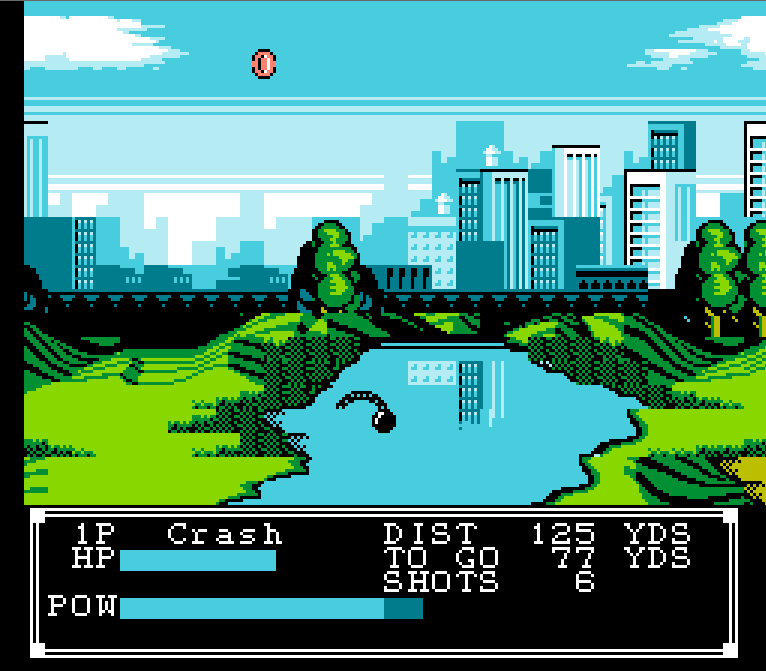 Sprites aside, action proceeds smoothly and the backgrounds are gorgeous (in fact, among the best on the console, and somewhat underappreciated, in this viewer’s opinion – check out the city’s layered skyline in the background of the Hammer Golf event and how it reflects in the water hazard), so maybe Technos should just be given the benefit of the doubt here: This game looks great. It sounds great, too, but in the case of the background tracks and effects, the recycling effect is much more noticeable, and hardly bothered to be disguised as all. For example, the hurricane kick sound effect used in the 400 Meter Hurt-les is the same as used in the game Double Dragon II: The Revenge. 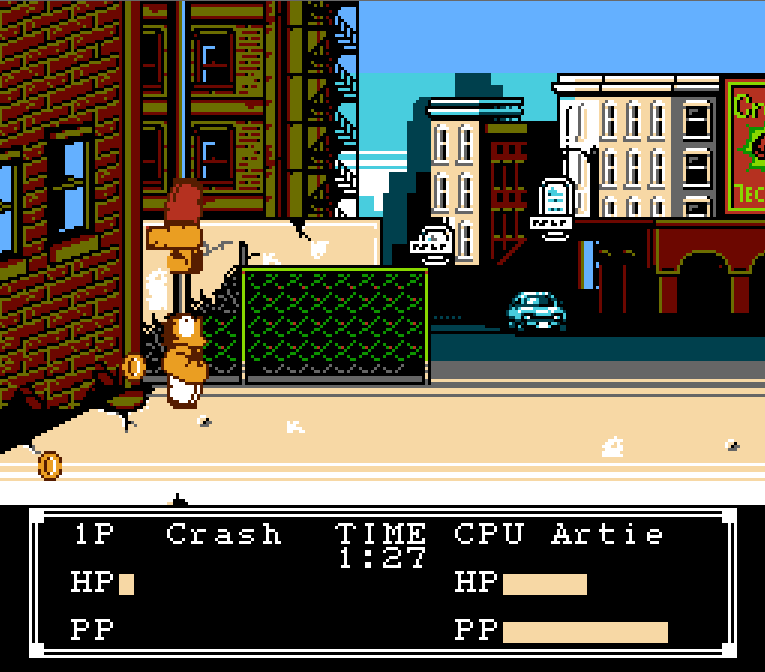 Other combat sounds are taken from River City Ransom, while many of the same short themes and ditties for the music have been conglomerated from the sporting titles like Super Dodge Ball and Super Spike V’Ball. They at least sound very, very similar, but some samples are definitely repeats. Nonetheless, again, this is likely not the worst thing. Crash ‘n’ The Boys is undoubtedly an original, creative, and innovative game. Fans of the multi-sport NES titles absolutely must give Crash a shot if they have not already. Playing alone is fun already, but multiplayer adds a whole new dimension of enjoyment. This is a title where the developers really seemed like they had the player experience in mind, and wanted to make it joyous and memorable. This is a four-star game, a rating out of five.